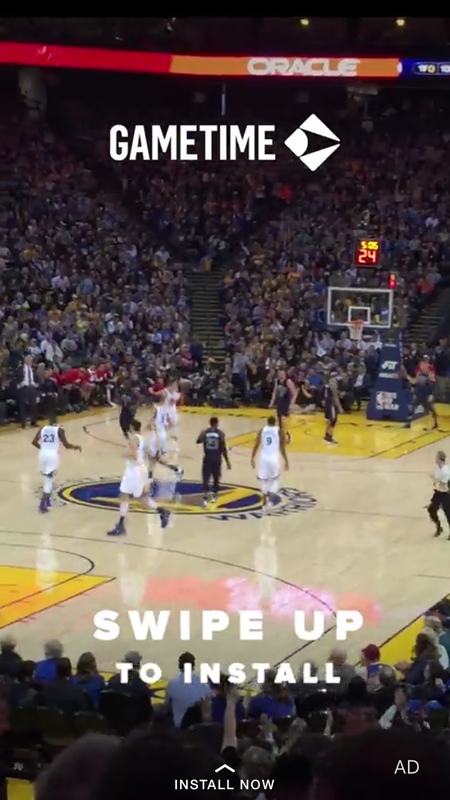 Marketers have demanded more performance stats from Snapchat, and now they are getting it. According to sources, Snapchat is working with Tune—an app analytics company—to provide insights around the former's recently launched app-install ads. The Venice, Calif.-based tech company makes the move as it looks to compete with more-established digital platforms for more of brands' advertising dollars. App-install ads are big business for online behemoths Facebook and Google, and Tune provides data on how many people downloaded and opened an app after clicking on ads. Marketers then use that information to measure and re-target campaigns. "It's a natural progression for Snapchat—they see that this is a success that Facebook had," said one source who has been briefed on Snapchat's ad-tech partners. Snapchat and Tune declined to comment for this story. After running an ad for the mobile game Cookie Jam two weeks ago, two e-commerce companies have since advertised apps on Snapchat—shopping app Spring and mobile ticketing company Gametime. Could those developments be seen as an indication that Snapchat may also be moving into e-commerce as a way to ramp up revenue? During a Re/code conference on Wednesday, Cosmopolitan editor-in-chief and Snapchat board member Joanna Coles hinted that Snapchat Discover may "morph into an e-commerce platform so you will be able to buy from it." At any rate, in addition to Spring (its ad can be seen at the end of this page) and Gametime (see directly below), Nike has also run app-install ads in the past two weeks to promote its Nike+ Training Club app as part of its ongoing "Better for It" campaign. 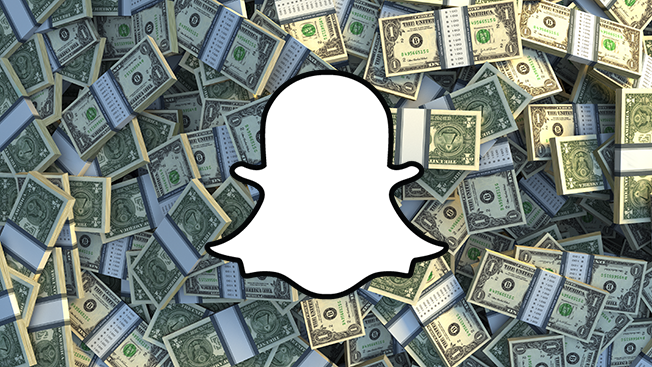 One source added that Snapchat is pricing app-install ads in the same way as its video promos—on a cost-per-view rate. To compare, Facebook prices app ads on a cost-per-install model that charges advertisers when a consumer clicks through to download a mobile app. "The advertiser still gets charged on a cost-per-view, which is similar to what Facebook is charging in terms of CMPs (cost-per-thousand). You cannot buy it on a cost-per-click or cost-per-install—it's a cost-per-view," the source said. Ads are priced at either two cents or three cents per view, with targeted promos being the more expensive purchase. Last May, Snapchat debuted two-cent views for ads sold within Discover—the hub of daily content from select publishers. Since then, Snapchat has added basic targeting demographics—age, gender and device—that's used to home in on specific demographics. That extra targeting bumps up the price of ads from two cents to three cents per view. In addition to Tune, Snapchat's also been in talks with competitors including mobile attribution player Kochava, sources said. "Everybody in the industry is integrated with one of those partners—you really have to be [in order] to understand attribution to your business," said Jeremy Sigel, director of mobile for North America at Essence. "So the fact that Snapchat is now integrating with those partners shows that they're real now, and they're going to be on par with Facebook and other publishers." Kevin Lange, svp of social media at Starcom Media Group, declined to comment about specific ad-tech companies Snapchat is working with, but said that such data tools suggest Snapchat can compete with Facebook and Google. "Enabling measurement is essential for them to move out of the 'test' social budgets bucket and effectively compete for video ad dollars, e-commerce dollars," he said. He commented that ads triggered by a Snapchat "swipe" open up new creative real estate for marketers. 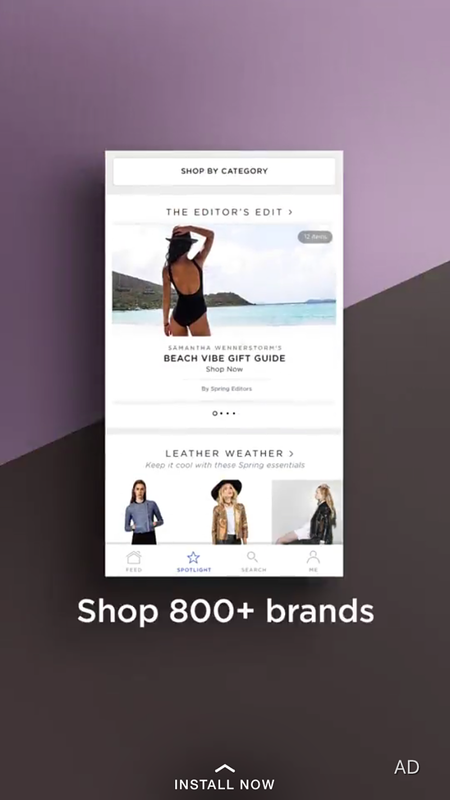 Facebook has also been pitching full-page mobile ads to brands, particularly retailers, in recent months with an ad format dubbed Canvas. "If [swiping up] becomes an engrained user behavior within Snapchat, that's a really compelling blank canvas in terms of advertiser opportunities, provided that the measurement capabilities are there," Lange said. Lastly, Amy Worley, managing director of channel activation at VML, echoed that app-install promos signal that Snapchat is more open for business with advertisers than ever. "When you're looking at awareness and sheer reach, you'll probably be pretty happy with just having access to that younger audience. But for a lot of advertisers, they're going to be waiting for more data about how people interact with it, how many people really viewed it until the end," she said. "With app installs, they're going to see how many people have actually downloaded an app—that's when it starts to get real."